This Sunday at 7pm, Helsinki on Broadway - in association with Showstoppers New York -presents Charles Busch in a cabaret evening entitled Late Summer Magic. He performed at Club Helsinki in Hudson, NY last fall and returns by popular demand. He will be joined by musical director and accompanist, Tom Judson. 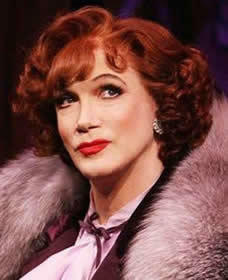 Charles Busch is an acclaimed actor, Tony-nominated playwright, and drag legend. His show at Club Helsinki is full of personal stories, original characters and classic songs; all perfumed with his own unique form of glamour. A few of his dozens of plays are Die! Mommie! Die!, Psycho Beach Party, Vampire Lesbians of Sodom, and Tale of the Allergists Wife - which ran for 777 performances on Broadway, won Mr. Busch the Outer Critics Circle John Gassner Award and received a Tony nomination for Best Play. The film versions of Die! Mommie! Die! and Psycho Beach Party have strong cult followings, and he is the subject of the documentary film The Lady in Question is Charles Busch. This Sunday, Terri White will take the stage at Club Helsinki in Hudson, NY as part of the Showstoppers New York Cabaret Series Helsinki on Broadway. The Broadway baritone chanteuse whose life brought her to the stages of Broadway, to living on the streets of New York City, and back! For one performance, Terri will bring her special brand of charm, humor and powerhouse vocals to Hudson for a night of magical musical entertainment. In addition to her highly acclaimed work in cabaret, the Great White Way has embraced Terri in roles ranging from Barnum, Ain't Misbehavin', Welcome to the Club, Chicago, Finian's Rainbow, and the recent Broadway revival of Follies. In 2008, the musical In The Heights was nominated for 13 Tony Awards and won Best New Musical, Choreography, Orchestrations, and Score. It was also nominated for a Pulitzer Prize for Drama and it introduced the world at large to the diverse and impressive talents of its writer, composer, lyricist, and star, Lin-Manuel Miranda. The writer, composer, actor worked with Stephen Sondheim and Arthur Laurents on the 2009 Broadway revival of West Side Story - specifically swapping out English lyrics for Spanish in portions of songs sung by the Puerto Rican characters; he performed in the City Center Encores presentation of Merrily We Roll Along in 2012; and he co-wrote the music and lyrics for Bring it On: The Musical - which was nominated for a Tony Award for Best New Musical this past Broadway season. Jason Robert Brown’s first musical, Songs for a New World played off-Broadway in 1995 and has since been seen in more than two hundred productions around the world. 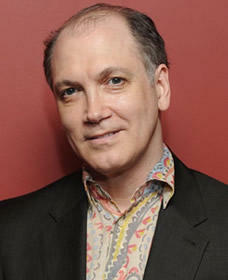 He won the Tony Award for Best Original Score in 1999 for Parade and won Drama Desk Awards in 2002 for Best Music and Best Lyrics for The Last Five Years - which has been adapted for film by Richard LaGravenese and produced by Lucky Monkey Pictures, Sh-K-Boom Records, and Grand Peaks Entertainment. Jason is the composer and lyricist of the new musical adaptation of The Bridges of Madison County. The book is by Tony and Pulitzer Prize winner Marsha Norman and it's directed by Tony winner Bartlett Sher. The Broadway-bound show begins its run on The Williamstown Theatre Festival Mainstage this week. Jason Robert Brown joins us to discuss the show, working with Marsha Norman, and how it was time for him to write something grand and romantic. Sarah LaDuke speaks with Australian actor, Tony Sheldon about his show-biz family, his feelings on theatre awards, and his global journey portraying "Bernadette" in Priscilla Queen of the Desert: The Musical. This Saturday at 9pm, Tom Judson will perform “Nature Boy: Songs of Earth and Sky” as part of the Helsinki Hudson and Showstoppers New York series Helsinki on Broadway.